Well it’s Friday and we have all survived another work week! YEA! I love Friday mornings because I get to hook up with a few girl friends to get our SWEAT on in Z U M B A class! (Missed you Jamie and Amy) I guess I just had a hunch this morning when I woke up that this class was going to make me sweat my tail off. 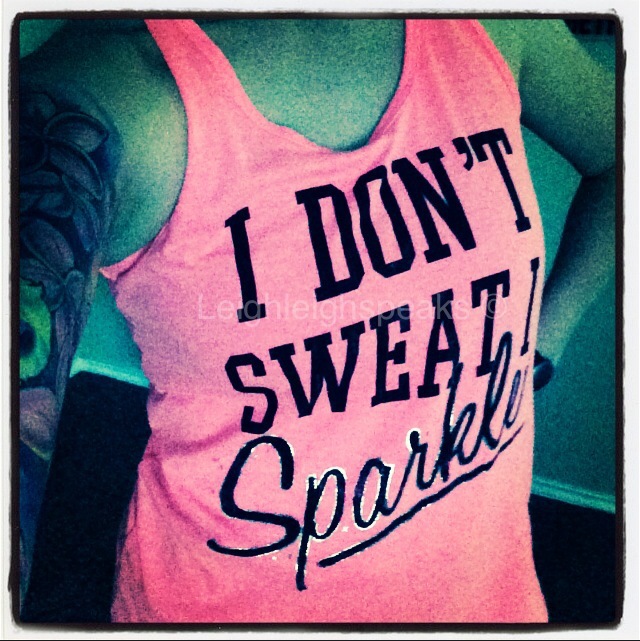 I had to pull out my I don’t Sweat I SPARKLE tank top! The class was pretty intense today! We had a fill in Zumba instructor and she kept our heart rate sky high what felt like the whole hour. By the end of class we were a hot sweaty mess! This was definitely a day where I was glad that I had my facial cleanser wipes on hand in my gym bag! I ended my work out session alone working my back and shoulders. I had to hurry back to my home town to pick up my kids from school! LAST DAY of school for the 2013-2014 school year. Where does the time go? We loaded the car with gasoline and headed to take my step kids to their Mother’s for Summer break! On the drive home we went through a rain storm, nothing serious, and I ended the day right with a yummy delicious fresh oriental salad at Applebee’s. It was a crazy busy day, but I enjoyed every minuet of it! ← It’s my Birthday and I can cry if I want too! Thanks!! I love these tanks! Gotta love Target!! But it’s chinupapparel. Check them out online, but they are $10 cheaper at Target. Are you still in the gym? Haha, I am not at the gym now but I was this morning. 🙂 Mine has a great childcare so I go every morning while the kids play. 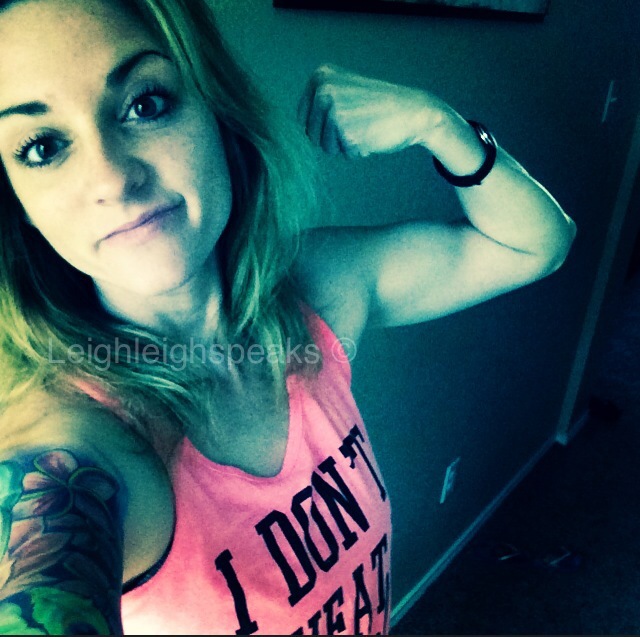 It is great, not only do I get in a good workout, I am able to shower and even put on makeup all while my kids are being taken care of. Oh, and I also like thinking about the fat melting away! I am going to go check out the shirts now!! Awesome! Sounds a lot like the place I go!!! We were just talking about how we should take advantage of the showers while the kids are taken care of! 🙂 Hope you find some goodies!! Thank you! Ummmm well, I just get ideas that pop in my head. I just kinda let it flow. If I ever feel pressure to write, I simply just don’t write. I also keep a journal, it helps to get inspiration as well!